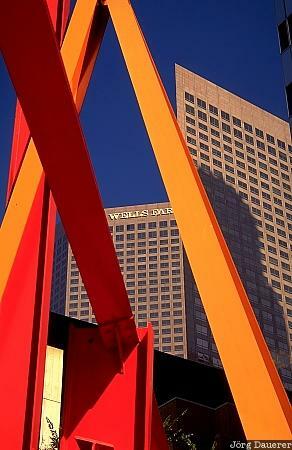 A red steel sculpture in downtown Los Angeles with the Wells Fargo building in the background. Los Angeles is in southern California on the pacific coast of the United States. This photo was taken on a sunny day in October 2002.